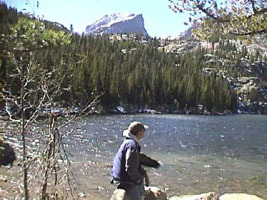 Page 1 of 3 Andy at Bear Lake. 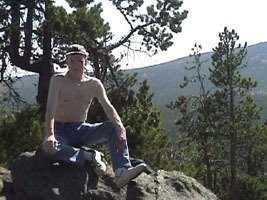 Andy on Blokey's Mountain in the Roosevelt National Forest. 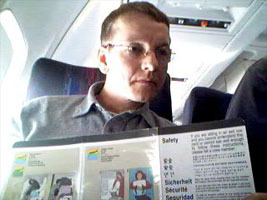 Andy on the plane to Colorado September 99. 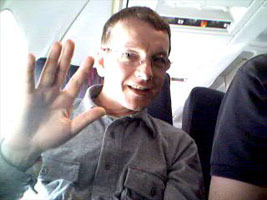 Andy and Blokey running a chatroom and live webcam at 35,000ft October 1999. 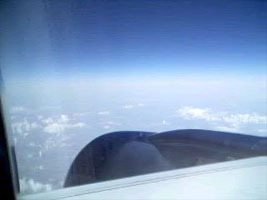 View from the plane on the live webcam at 35,000ft October 1999. 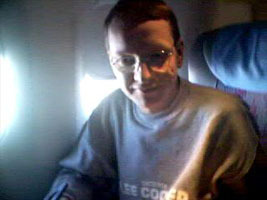 The webcam setup laptop, USB webcam and airphone, $2 per minute, at 35,000ft October 1999. 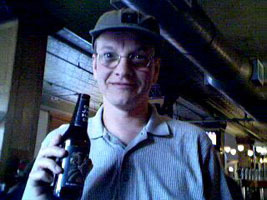 Andy drinks Cider Jack in a bar in Denver, Colorado September 1999. 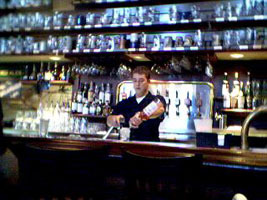 Cute barman in Boulder, Colorado, September 1999. 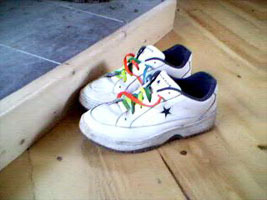 My shoes in Blokey's cabin in the mountains.